I have been interested in saltwater aquariums for quite a while, but until recently I never actually owned a saltwater tank. I bought my first tank about 3 years ago, a Biocube 29 and fell in love with the hobby. I loved that tank, but it was too small. I learned that the smaller the tank is, the more difficult it is to maintain. I also couldn't have the fish I really wanted. About 2 years ago I moved up to a bigger tank, a Red Sea Max 250, a 70 gallon tank. This is much easier to take care of and maintain water quality. I got the fish I wanted and loved it. Once I got the new tank I found out you can just have so many fish. Not all fish get along and having too many fish is unhealthy for the tank. I became interested in stocking my tank with corals. I started with a few corals, which I purchased from my LFS, and they weren't cheap! I discovered that the local fish stores also did not have a variety of corals to chose from. One store that I had frequented seemed to only have brown colored coral! I began searching online for more colorful coral and found a greater variety. I bought coral from a couple of sites and as satisfied, but soon became bored with the choices. I then recently discovered a new site called Kevcoral.com . This site is quite a bit different than most of the other sites, in that they only sell corals, no fish and part of their mission is to save our vanishing coral reefs by selling only aqua-cultured corals. KevCoral is not a large business offering massive quantities of coral, but a small ecocentric company offering corals at a reasonable price. I mentioned previously that they only sell corals and no fish, but they do sell tee shirts and other items for the coral hobbyist to show off their love of corals. I have already placed an order for some coral, as well as a tee shirt. It's my way of supporting a new coral business and helping to save our coral reefs, while at the same time enhancing the beauty of my reef tank. I strongly suggest you check out KevCoral if your are interested in corals for your reef tank or if you want to help save our coral reefs. We usually order our pizza online from a local pizza shop (Brockport, NY). The other day I heard that our local shop was renaming some of their stores in order to avoid paying healthcare and the minimum wage to their employees. This really upset me as those employees don't get that much money to begin with. There is a delivery charge, usually $4, which does not go to the person who delivers the pizza. That's an extra optional tip. I don't think the pizza box costs $4! 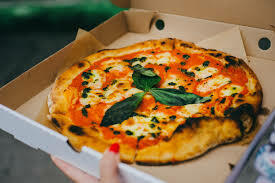 We thought that we should try an experiment and order from a few stores, including the big chain pizza shops, in order to find the best pizza with the best value. This past weekend we tried Domino's Pizza, since it was advertised quite often on TV, it was well known and it was close by. If the pizza was picked up, instead of being delivered, the cost was cheaper. So we called and ordered an extra large pizza plus some chicken bites. When I went to the store to pick up the pizza it wasn't quite ready so I had a chance to watch the pizzas being made. I noticed the employees pouring some white substance from a bottle onto the uncooked pizza dough and this didn't look too appetizing. 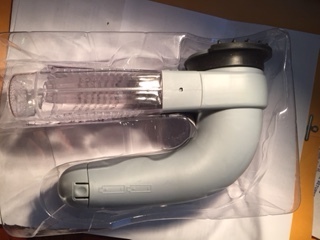 I had no idea what it was. When I saw the sauce being added to the pizza it appeared to be put on sparingly. After a few minutes my order was ready and I returned home. We agreed that we most likely would not order Domino's pizza again, unless there was no other choice. We definitely would not order the chicken bites again! The next time we order pizza we'll try some other store and see how that compares. I'll keep you posted. When I first decided to set up a saltwater aquarium I bought a Coralife Biocube 29, which was considered a nano tank. This tank had a built- in sump in the back and a cover with both a fluorescent white light and an actinic light, as well as an LED Moon light. The pump was included so all I needed to buy was the live rock, filter media and the fish. This setup was all I needed as a complete beginner to the saltwater fish hobby and it was less expensive than buying the individual parts I needed. This worked great until I wanted to add a couple more fish and corals. The problem with a smaller tank like this is that once something goes wrong with the water the entire tank is affected very quickly. I had numerous outbreaks of green hair algae and had a very difficult time getting rid of it. I also spent a lot of money replacing fish that had died. Part of the problem with dying fish was that my LFS (local fish store) sold me fish that were incompatible. The LFS owner kept saying she would come and see my tank to help me figure out my problem. She never did. It was all talk. She was more interested in selling fish! After about 2 years with this tank I had to decide if I wanted to give up the hobby or get a bigger tank. I decided to visit a bigger shop that dealt only with saltwater fish and corals and equipment. After talking with the owners, who were very helpful, my husband and I settled upon a Red Sea Max E-series 260 aquarium setup, which is a 70 gallon tank. This was a reef ready setup with little else to buy. I wanted to keep fish and Kevin wanted to keep corals, so this was perfect. This setup included the sump in the back, a powerful protein skimmer, LED lights, media basket and sponges, pumps and cabinet. We paid a little extra to get an ATO (automatic water top off) and a heater. We chose the white cabinet which was a little more expensive, instead of the black cabinet. A few months later we bought a lid because some of the fish we wanted were "jumpers" and the lid would prevent loss of these fish. Once we picked up the aquarium and cabinet it was quite easy to assemble everything. We then transferred our live rock, some of the sand and water and the snails and hermit crabs to the new tank. After about a week we transferred the fish and eventually added new fish and of course corals. Since we have had the Red Sea setup we have had no problems with the water quality or algae blooms. It honestly is much easier taking care of this tank than the Biocube 29 we had previously. I would highly recommend the Red Sea Max E- Series tanks to anyone, either a beginner or someone who simply want sto upgrade their existing tank. You can check out the options here on the Red Sea website. 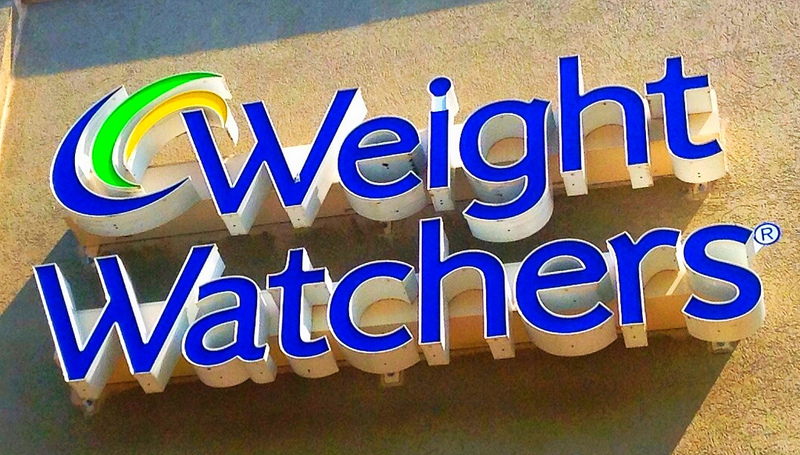 Lose Weight with Weight Watchers! During the past 4 or 5 years I put on a lot of extra weight due to a lack of exercise and not watching what I was eating. I admit I love food, but not exercise. I developed asthma and sinus problems that interfered with my exercise routine, which didn't help me with my weighy. Last year I decided to lose weight. I tried some of the fad diets that simply did not work. Each one I tried left me starving and sacrificing my favorite foods. I would lose a few pounds quickly and then put it back on because I was starving. 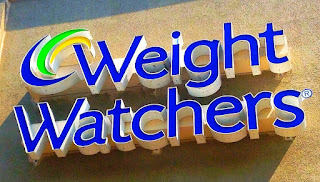 Then a couple of my neighbors told me about Weight Watchers, which both belonged to. I was a bit apprehensive at first as I thought it was only for women. But with a little coaxing from my neighbors and my husband I joined Weight Watchers. I've been a member for 2 months now and have lost a total of 15.8 pounds. The good thing is that I did this without depriving myself of my favorite foods or starving to death! I was able to eat as much fruit and vegetables and seafood as I wanted and even eat ice cream and pizza! There is a great variety of foods that your are allowed and even encouraged to eat so that you don't go hungry. By the way there are quite a few men who belong to Weight Watchers! I would strongly recommend to anyone who is having difficulty losing weight that you give Weight Watchers a try. You won't regret it! For the past few years since moving into our new home I have been complaining about both cable and satellite TV options and having to pay outrageous prices for tons of channels that I don't want. Both cable and satellite providers offer packages that include up to 85% of their programming as home shopping channels, religious channels or channels showing the same infomercials 24/7. In order to receive the one of two channels I really liked I would have to pay as much as 2 or 3 times the basic subscription rates! In my other blog, Free Flowing Waves, I go into further detail about my complaints. As I stated in my blog post, mentioned above, we decided to buy the Amazon Firestick and give it a try. 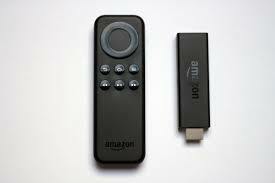 Firestick has received some very good reviews and it was not expensive, $39.99 from Amazon Prime. 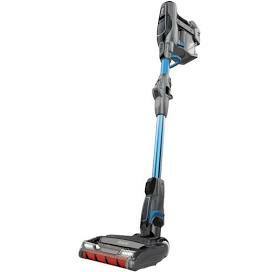 So we ordered it and since we have Prime we received free shipping and next day delivery. As far as I am concerned, this is one of our best decisions! Prime services like HBO, Cinemax, Showtime etc. cost an arm and a leg if you were to subscribe to them and they aren't the most current movies either! If you have Amazon Prime and Firestick your are given unlimited access to thousand of movies and TV shows offered by Prime video. What I really like is that I can search for old TV shows which I loved when I was growing up or search for episodes of my favorite shows that I could not afford to subscribe to with cable or satellite. When we received our Firestick it was just a day or two after the Oscars were announced. I thought I would give it a try and search for some of the movie winners that interested me. No problem. I found them and watched them in the comfort of our own home. I would have had to wait a long time to view these movies on cable or satellite and would have had to pay a fortune to be able to do so. All you need to have for a Firestick is a Smart TV and a good Internet connection speed and your set to go. The installation is quite easy as all you have to do is plug it into your TV and follow the simple instructions. 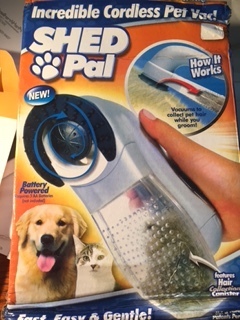 I don't consider myself a techie, but I have no problem using this device. You don't need Amazon Prime, but having it does give you more options. Amazon Prime costs $99 per year (student rate is $49 per year) and the Firestick is a one time cost of $39.99. Having Firestick will cost $8.25 a month compared to paying cable or satellite subscription that could cost well over $90 a month! I would highly recommend Amazon Firestick to anyone who is sick and tired of paying exorbitant fees to cable and satellite TV for hundreds of useless channels.